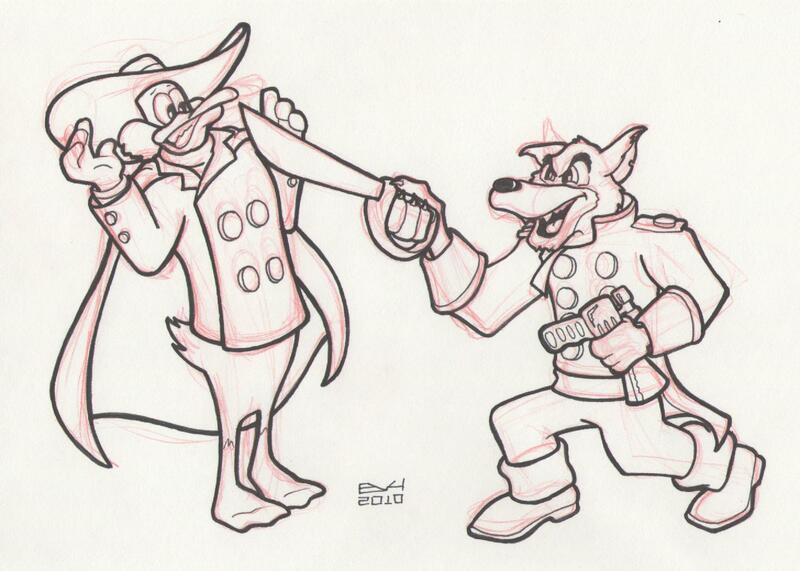 Another request for Don Karnage vs Darkwing Duck. Don always had the upper had to begin with, but I’m sure soon enough he’ll start rambling and Darkwing will defeat him. I couldn’t think of anything today, so it gave me a chance to finally get around to this request. They wanted Disney’s Robin Hood, Talespin’s Rebecca Cunningham, and Bert the Racoon as kids. The wooing thing was my idea, but I think it came out decent. I inked this with my new Micron Pens I ordered from DickBlick.com. Here’s a picture of the rest of my loot that just got delivered today. 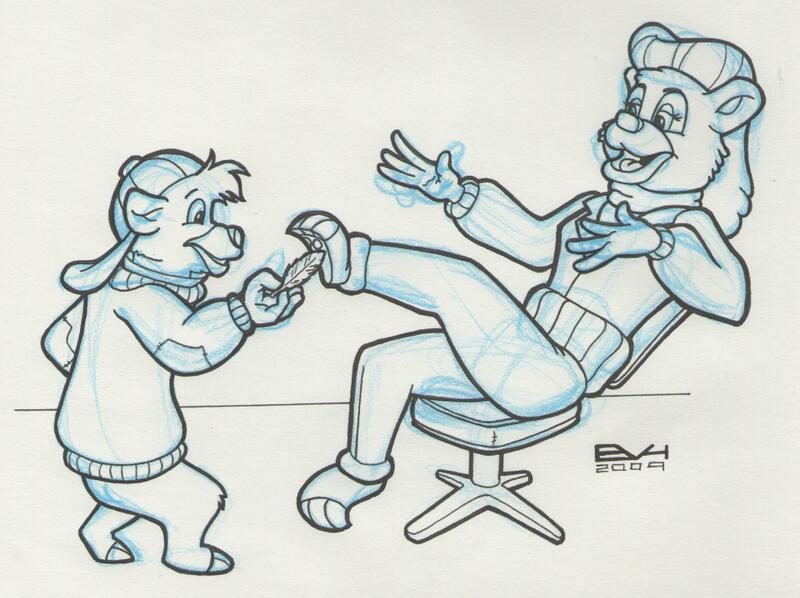 This was a request for Rebecca Cunningham from Talespin being small as a mouse but with normal sized feet. It was pretty fun to draw, but I had to break out my tiny little markers… Hope they like it. Oh, and I finally figured out the rest of the Rubik’s cube today! I’m no speed demon, but I can usually get it in 4 minutes or less. I got a request the other day when I doodled Shere Khan for something like this, so I finally got around to doing it. It gives me a day off from thinking up a doodle, and more time for sledding! 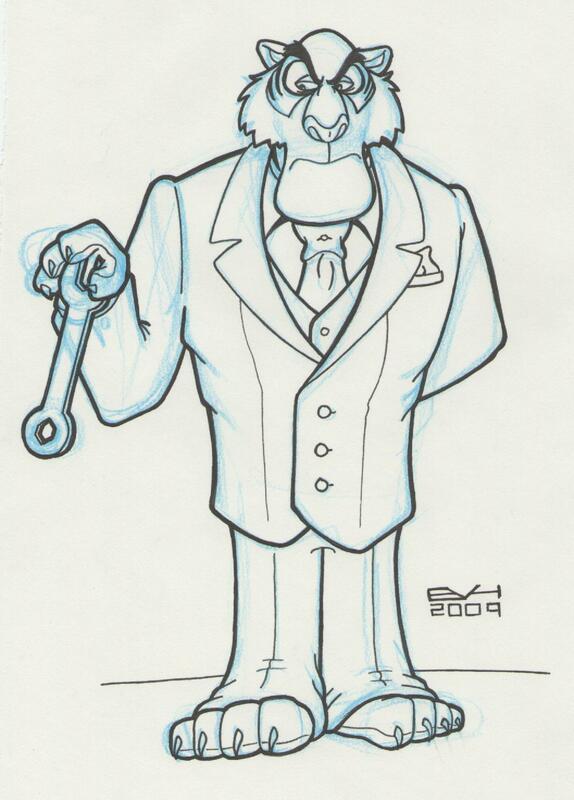 Tonight I tried to think of something funny to draw from Talespin, but I couldn’t really come up with anything. 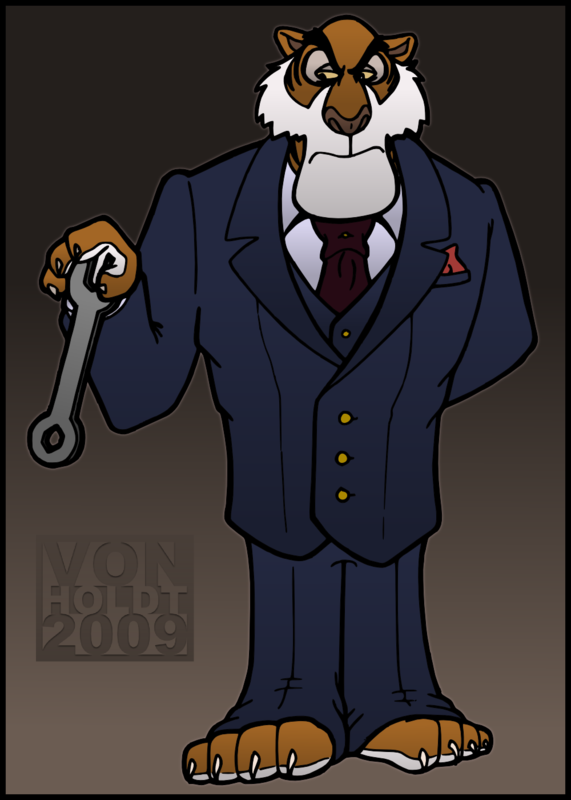 Instead I decided to draw Shere Khan, who was one of my favorite characters, though I don’t think he appreciated manual labor.